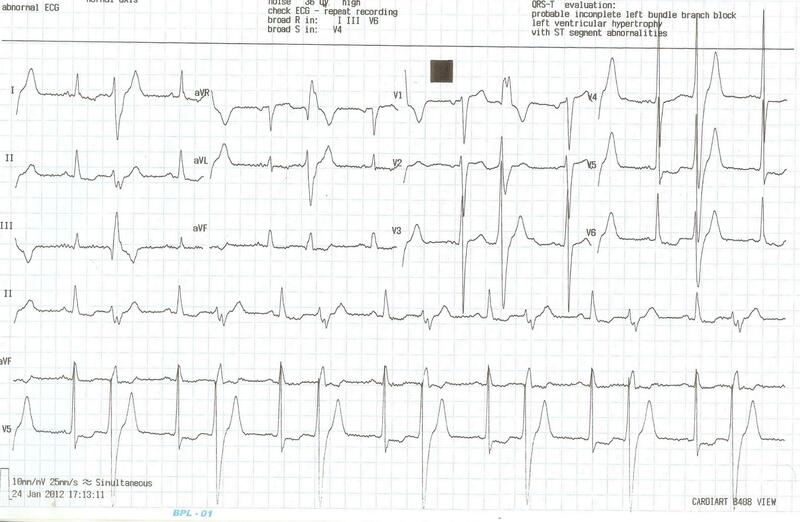 What will be the pulse rate in a patient who has ventricular bigeminy in ECG ? What will be the pulse rate in a patient who has ventricular bigeminy in ECG with a heart rate of 90 ( 45 sinus beats 45 VPDS/minute ) ? The answer is D .
I have noted ,this simple question in cardiology resident examinations cause great anxiety among students . Why is it difficult to arrive at an easy answer to this question ? 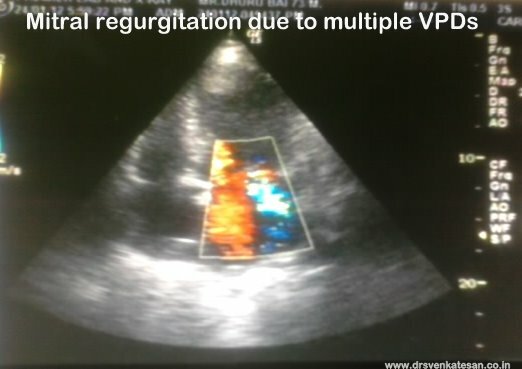 Traditionally , ventricular ectopic beat were also called extrasystole , implying every ectopic beat shall produce a peripheral pulse .Since , we learnt this is not true , we started refering them as VPDs. (Simple ventricular depolarisation which may or may not have a mechanical activity ) So , in a patient whose alternate beat is a VPD , things become little complicated. What determines a VPD to acquire mechanical energy or simply remain as an electrical event ? Timing of the VPD* . * Among the above four factors timing of the VPDS is the most crucial as it can influence all the other three factors. 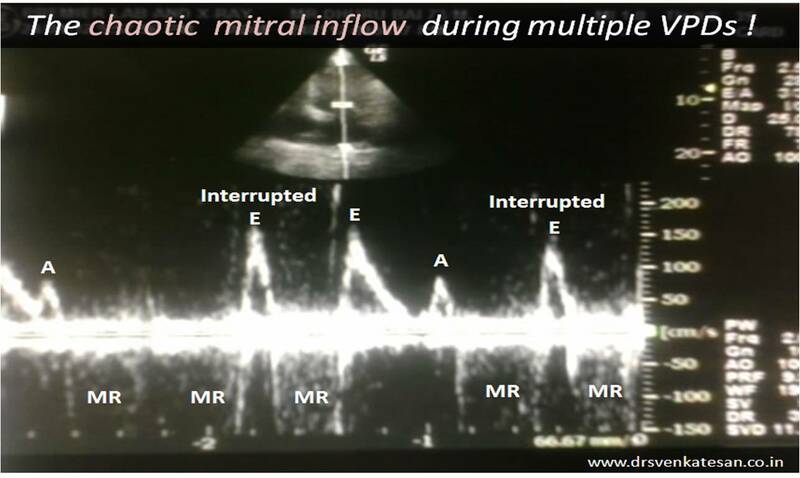 ** Whatever be the timing or force of contraction aortic valve should be opened to generate a pulse wave. If for some reason this does not happen there can be intermittent mechanial activity what we refer to as pulse deficit .